The Mairi Mhor Fellowship for The Highland Council is once more breaking new ground in making Gaelic song accessible to as many people throughout the world as possible. 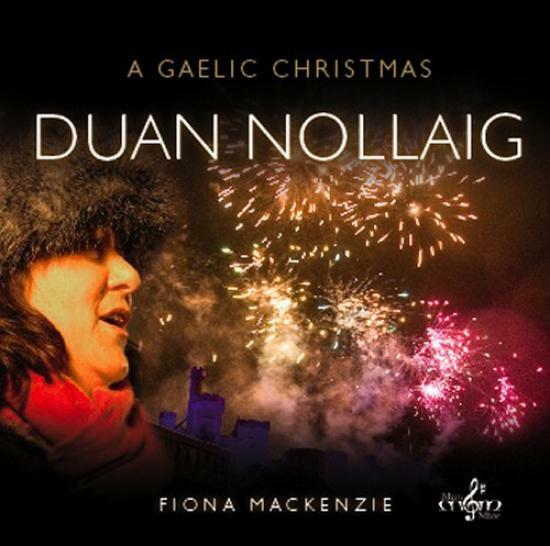 The Fellowship has recently produced the world's first ever double Gaelic Christmas album, Duan Nollaig, which was launched during the MOD at Fort wiliam on 20th October 2007 and is being released on the Greentrax label, in a bid to enable as many people to enjoy and learn Gaelic Christmas carols and songs. Fiona Mackenzie, the Mairi Mhor Fellow said: "Since I began working in the Fellowship 5 years ago, I have been inundated with requests from all over the world from people looking for recordings and lyrics of Gaelic carols but to date there is no such resource available apart from the odd track on various "Celtic" compilation albums. There is no dedicated Christmas collection. I was particularly struck by the lack of resources available for teachers in the Highlands and Islands in Gaelic medium classes. I decided that we should go ahead and make an album of songs but to look beyond the usual "traditional" horizon and try to showcase Gaelic Christmas music to audiences who would not normally listen to Gaelic or folk music. known traditional musicians and singers including Anna Massie, Gary Innes, Hamish Napier, James Graham, Ronan Martin, Simone Welsh, Katie Mackenzie and Maggie Macdonald and are delighted that we also managed to persuade Capercaillie's Karen Matheson to guest with me too." Chairman of The Highland Council's Gaelic Committee Councillor Hamish Fraser said: "As a Council we are strongly committed to the development of Gaelic language and culture, this is apparent in the targets which we have set out in our draft Gaelic Plan which was submitted to Bord na Gaidhlig earlier this month. Language learning and development must be both innovative and inclusive and Duan Nollaig fits these categories. It is important to highlight that this Christmas CD is an additional resource which has a contemporary theme and can be used by people of all ages in relation to language development. The album presents 35 songs in a variety of styles including classical, traditional and rock and has songs for children and young people, and also for Gaelic learners so it really has something for everybody making it the ideal Christmas gift." Songs include traditional carols in Gaelic such as Silent Night, In the Bleak Midwinter, Away in a Manger, traditional Gaelic songs such as Heire Bannag, Leanabh an ~igh, and new songs specially written for the album. Fiona added: "We have managed to produce cross-cultural material including something from the Manx Gaelic tradition, some Latin and even a German influence in the songs and are very keen that this music should be showcased on a National scale as there is no reason why many of the songs would not sit very nicely on Classic FM or Radio 2 or 3. It is just beautiful Christmas music which just happens to be sung through the medium of Gaelic. We even have a Gaelic translation of Leonard Cohen's classic Halleluia, made popular by Jeff Buckley and featured in the film Shrek, and this is performed in a very bright, contemporary, rock, manner to attract young people to singing it." gone into this project and I have watched the album's progress to the final masters with great satisfaction. The album is an absolute joy." The launch will now be followed by a major promotional concert in Glasgow's venue, St Andrews in the Square on the 10th December at 8pm. Tickets will be available from SECXtra.com and the St Enoch Centre.